Mr. Onorato has extensive experience representing clients in a wide variety of state and local high–profile criminal matters, including, but not limited to, securities fraud, bribery and gratuities, tax fraud, immigration fraud, counterfeiting, mail and wire fraud, bank fraud, witness intimidation, narcotics trafficking and money laundering. Mr. Onorato has successfully represented clients in a variety of criminal investigations in the United States District Courts for the District of Columbia, Eastern District of Virginia, Maryland, New York, Colorado, North Carolina, Tennessee and Alabama. Prior to entering private practice, Mr. Onorato served with distinction as an Assistant United States Attorney in the District of Columbia. Throughout his years of service as a prosecutor, Mr. Onorato handled more than 50 criminal trials before juries and judges in the United States District Court for the District of Columbia and the Superior Court for the District of Columbia. Mr. Onorato also participated in several long–term criminal investigations with specialized federal and state law enforcement task forces. 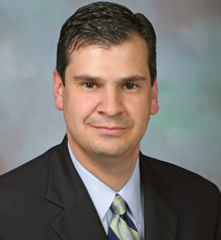 Upon graduation from law school, Mr. Onorato served as a law clerk in the District of Columbia Superior Court for the Honorable Russell F. Canan. Mr. Onorato grew up in New York and New Jersey. He is a graduate of Lycoming College and the Washington College of Law, American University. He is an active member of the bars of the District of Columbia and California, U.S. Court of Appeals for the D.C. Circuit, the U.S. District Court for D.C. the U.S. District Court for the District of Maryland, the U.S. District Court in Colorado, and the U.S. District Court for the Central District of California.